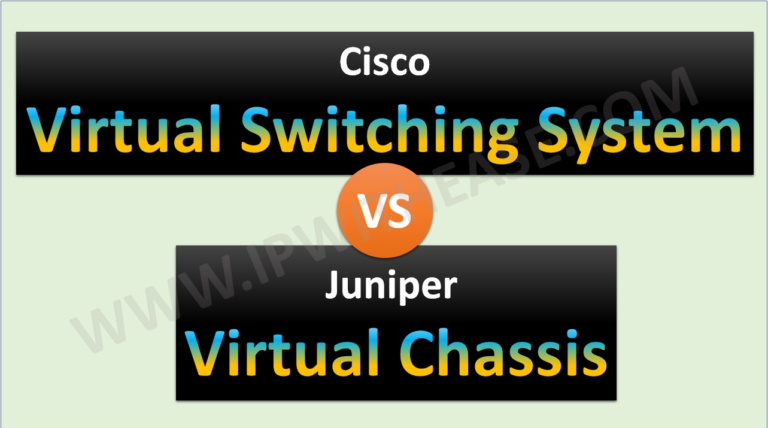 Cisco catalyst Switches VSS (Virtual Switching System) and Juniper VC (Virtual Chassis) have been earned acceptance by customers and are in market for quite some time now. With both cisco VSS and Juniper Virtual Chassis having single control and single management plane, both vendors boast of their technological edge over other.VSS and VC are pretty more than just stacking technologies. While Stacking requires built in ports and can span meters only, Cisco VSS and Juniper VC members can expand upto 70 KMs – members may be physically scattered across geographical locations. While Cisco catalyst services switches support VSS (Cisco 4500, 6500, 6800 catalyst Switches) Juniper EX and QFX (EX2200, EX3300, EX4200, EX4500 and EX4550, EX4600, EX8200, QFX Series) support VC technology.